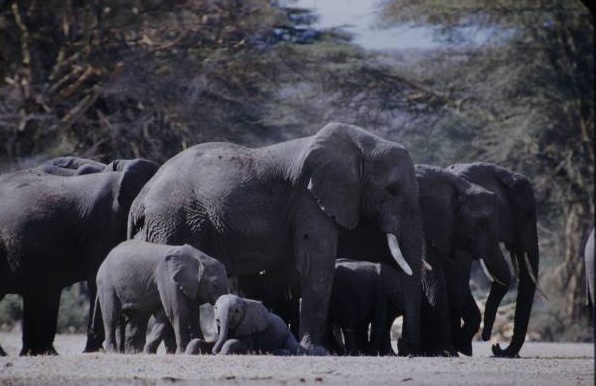 This shot of elephants was taken in 1959 by Eliot Elisofon, the noted Life photographer, at the Amboseli game reserve in Kenya. I became his guide and driver there for a few days. He paid me with instruction: he composed his shots using a tripod, and when he had something going he would step aside for five seconds so I could peer through the viewfinder and see exactly what, out of all the information in front of us, he was selecting. I was at his elbow when he took this one. What struck me was how tightly he composed the shot—the foreground compressed into a thin, hard shape of white ground along the bottom supporting the dark solidity of the herd—and then that glorious cascade of light and diagonal lines falling from the central adult down over the standing calf and then the recumbent, contrary, watchful one, all against the loose, wavy pattern of the trees. 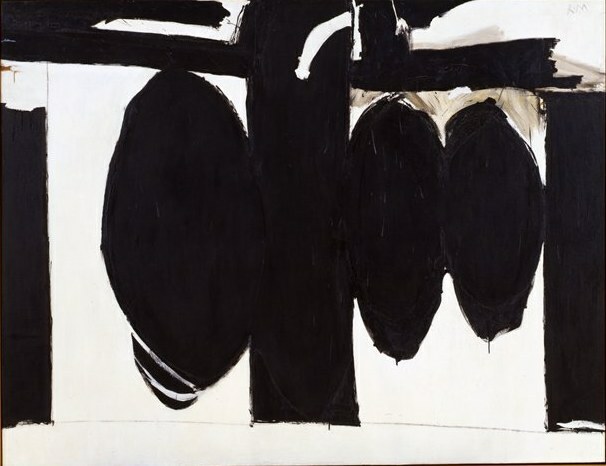 It was only quite recently that I happened to look at the Elisofon and Robert Motherwell’s “Elegy to the Spanish Republic #57,” painted at about the same time, in close proximity. Not the same thing, of course, but not quite a different one either. The longer you look, the more similarities you find. Begin with the white shape along the bottom, and the tusk shapes in both pieces.